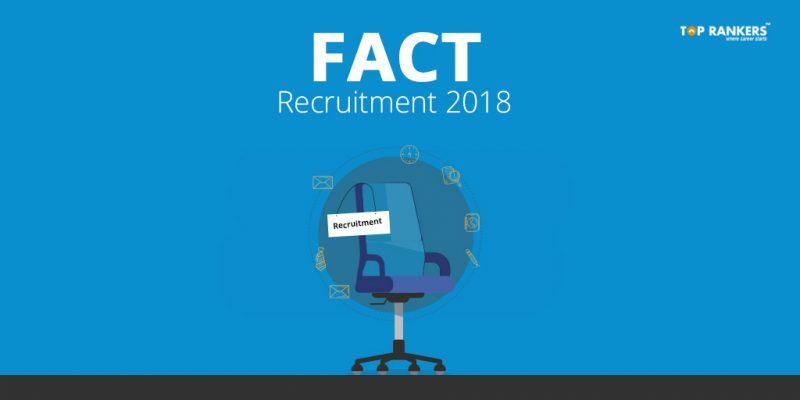 How to Apply for FACT Recruitment 2018? FACT is the abbreviation for Fertilizers and Chemicals Travancore Limited. FACT Recruitment 2018 has released notification for both freshers and experienced candidates.FACT Recruitment 2018 has been released for various posts like Assistant, Craftsman, Deputy Manager, Male Nurse, Management Trainees, Officers, Stenographer, Technicians. etc. The application form is available in online mode only. Candidates have to apply from the links below. FACT has released separate notification for each of the posts. So candidates are advised to read the official notification from the application page given in the link below. Application Forms will not be available in offline mode. Admit Cards: FACT will release admit cards once it is time. Admit cards will be released a few days before the exam. It is compulsory for candidates to carry admit card along with valid photo id proof like AADHAR, PAN, Voters ID failing which they will not be allowed inside the examination hall. Results; FACT will release the Results for the recruitment process within 3 months of the exam. Candidates are advised to stay vigilant and keep an eye on the official website for Results and all notification related details. About FACT: The Fertilisers and Chemicals Travancore Limited or FACT Ltd, a fertilizer and chemical manufacturing company in Kochi, Kerala, India, was incorporated in 1943, by Maharajah Sree Chithira Thirunal Balarama Varma. It is a publicly listed company on BSE/NSE.